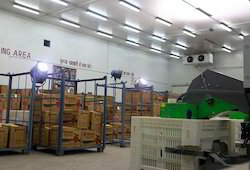 Manufacturer of a wide range of products which include multi commodity storage and pack house and mango pack house. 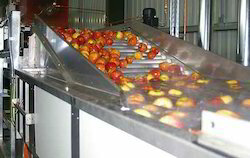 Multi Commodity Storage And Pack House is a place where perishable agricultural commodities like fruits and vegetables are collected and grading, sorting, cleaning, packing and pre-cooling activities are performed so that the product reaches to consumers safely with least deterioration of the farm produce. In order to cater to the client’s needs, we are involved in offering a technically advanced array of Mango Pack House. These products can be availed at affordable prices. Looking for Pack House Systems ?